These polished stainless steel cufflinks from British designer Simon Carter are a simple way to finish off a shirt. 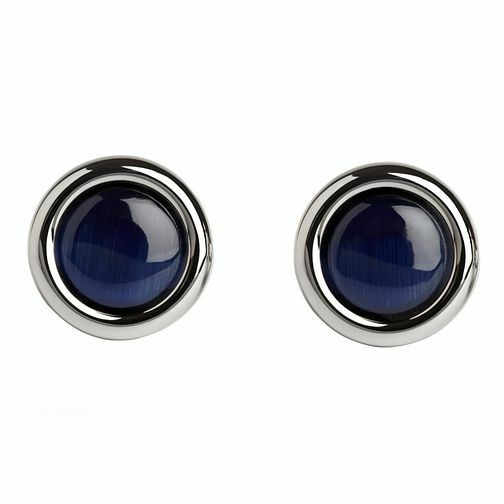 Exhibiting a circle design with a domed navy centre, these cufflinks offer effortlessly sophisticated style for all occasions. Simon Carter stainless steel navy circle cufflinks is rated 4.0 out of 5 by 1. Rated 4 out of 5 by Anonymous from Nice but expensive Good quality cufflinks look sharp but pricey considering material.